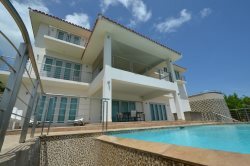 We have a wide selection of Vacation Rental condos and homes in the San Juan Metropolitan Area to include Condado, Isla Verde, Miramar and Punta Las Marias. Enjoy the beautiful beach front coastline located just minutes from the San Juan international airport, Old San Juan, and within walking distance to the best hotels and casinos in the area, restaurants, shops and much more. During the early 16th century, San Juan was the point of departure of Spanish expeditions to charter or settle unknown parts of the New World. Its fortifications repulsed the English navigator Sir Francis Drake in 1595, as well as later attacks. In the 20th century the city expanded beyond its walled confines, known as Old San Juan, to incorporate suburban Miramar, Santurce, Condado, Hato Rey and Ro Piedras. San Juan is the largest processing center of the island, the metropolitan area has facilities for petroleum and sugar refining, brewing and distilling and produces cement, pharmaceuticals, metal products clothing, and tobacco. The port is one of the busiest in the Caribbean. San Juan is the countrys financial capital, and many U.S. banks and corporations maintain offices or distributing centers there. San Juan is center of Caribbean shipping and is the 2nd largest sea port in the area (after New York City). ATTRACTIONS: Botanical Garden Open from 8am-5pm. Rio Piedras Caparra Museum Open from 8am-4:30pm M-F. Guaynabo Casa Bacardi. Open from 9am-4:30pm M-S & 10am-3:30pm Sun. Catano. Luis A. Ferre Science Park. Bayamon. Closed on Mon.-Tues. Museum of Art of PR Closed on Mon. Grand Wyndham Rio Mar Beach Resort is located on the northeastern coast of Puerto Rico, and enjoys proximity to the Islands El Yunque Rain Forest and Luquillio Beach. It is only 19 miles from the San Juan Luis Munoz International Airport. The Resort has two 18 hole championship golf courses and stunning beach, the resort has a 13 court Tennis complex, Casino, a fabulous Spa and fitness center and variety of Shopping options.